The Mom: Informed: GUEST POST!! That Mama Gretchen!!! 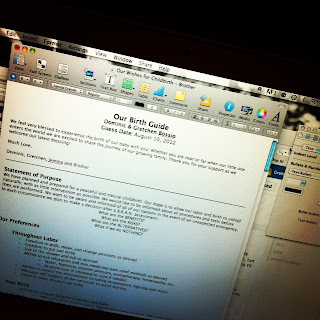 "TIPS FOR CREATING A BIRTH GUIDE"
GUEST POST!! That Mama Gretchen!!! "TIPS FOR CREATING A BIRTH GUIDE"
First off, call it a birth guide (or birth preferences), because that's what it is. A birth guide outlines your hopes and wishes for the best possible birth while taking into account potential rabbit trails. 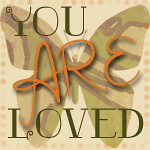 A birth guide gives mamas control in an often unknown journey. It ensures that your "most importants" are explicitly communicated. When you sit down to write your birth guide, travel back to college and go with the rough draft/work in progress mentality. The first round shouldn't be the last. Once you punch out your initial thoughts have your partner review it. Make adjustments and plan to discuss what you've come up with at your next prenatal appointment. Many times your care provider will ask thought provoking questions and add necessary details. Once you develop your final guide, present a copy to your provider for your file and their reference. It doesn't hurt to ask them to sign it as well! Then there is no doubt you are on the same page. Yes, I'm the one who could write a novel with helpful graphs and photos as my birth guide. But, I'm sticking to one page using bullets and simple sentences. I also plan to write a "In Case of Transfer/Hospital Birth Guide", but that is a separate document. Attitude and tone are super important in a birth guide. You're not the expert (that's why you are partnering with your care provider), but you are an informed parent who is responsible for the final decisions made for mama and baby's health. Birth plans are becoming increasingly popular and I'm assuming many care providers see the same thing day in and day out. Don't be afraid to make your guide personal - fun and witty or add a picture or two. If it stands out to them, I think there is a higher likelihood that they'll pay attention to your requests. If the situation becomes life-threatening for Gretchen or our baby, we will of course yield to any request for life-saving intervention, upon the briefest of consultation. In the strong likelihood that we have the normal birth that we are expecting, we ask that you refrain from any routine interventions or measures that we have not previously agreed upon. Thanks to Hypnobabies for the eloquent wording! Birth guides aren't just for parents and care providers. It is important to include your support team so they are informed of your wishes too. Share your plan with family and friends who will be intimately involved in the birth of your baby. Especially those who will be visiting shortly after. You want them to know that some of your wishes extend through your recovery. A birth guide is a great communication tool that allows everyone to be on the same page. There is quite a bit of commotion after baby's arrival. If newborn procedures don't fit into your one page birth guide, don't hesitate to have a newborn procedure guide. Having an outline of preferences and procedures specific to this time is key to continuing the vibe you hope to establish for your birth. Have you written a birth guide? What were some of your key points? I'd love to hear! Still questioning whether or not a birth guide is for you? Read Adriel from The Mommyhood Memos post, 4 Reasons to Write a Birth Plan. It's excellent!